How do we get the GeeDee Document Management System installed? What do I need from my I.T. person for GeeDee support staff? Under most circumstances installing the GDMS Server is a very simple process and only takes approximately 30 minutes to complete. The following installation information will assist you in having the system installed in a timely fashion. • TeamViewer 10.0 or below (Host or Full Version) – this is our preference as it allows us to share the monitor with the client for support and training purposes. • Please provide your Servers/Main PC's credentials to GeeDee Realty Systems support staff. GeeDee Support Staff will require a Microsoft RDP Session with Administrator Rights to your Server. • Check with your nominated I.T. 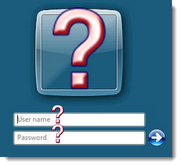 person or office manager for login information. • See Technical Requirements for further information. • What is my Servers Login and Password? • The MS Remote Desktop / Host Access can reside on one of your office workstations that has the Symantec pcAnywhere software installed on it. Direct Host access would be of a greater benefit and will speed up the process tremendously. If you agree to allow GeeDee Realty Systems this access and have the Document Server installed, please email or telephone GeeDee Support Staff with the above login information. • A software license that is based on the number of simultaneous users accessing a software program. Example: in a five-user concurrent use license, after five users are logged on to the program, the sixth user is prohibited. When any one of the first five log out, the next person can log in. Click below image to view the GDMS information flyer!